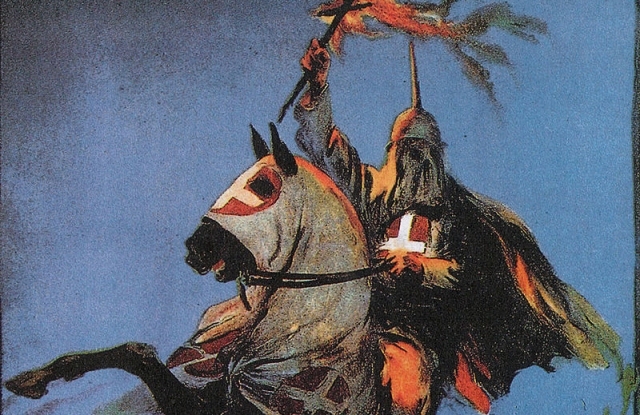 Controversial from the first year of its release in 1915, 'The Birth of a Nation' has been hailed as both the greatest film ever made and the most racist. On 8 February 1915, it premiered in Los Angeles as 'The Clansman', the name of the novel and play upon which it was loosely based, to an audience of 2,500. A live orchestra played a specially composed score, the first of its kind in cinema history. Lasting over three hours, the film told director D.W. Griffith's version of American history from the years efore the Civil War to the period of Reconstruction. Even before its premiere, the film had drawn ttention from political groups and local councils because of the nature of its content, yet it went on to become, possibly, the most profitable film of all time.